AUGUSTA, Maine — Maine Secretary of State Matthew Dunlap said Thursday he has been asked to serve on an election fraud commission that is being spearheaded by President Donald Trump. The purpose of the Presidential Commission on Election Integrity, which will be chaired by Vice President Mike Pence, is to investigate Trump’s belief that there was widespread voter fraud in the November 2016 election. Trump announced in January that he would seek an investigation into voter fraud in the election, even though the consensus among state officials is that it is rare, according to Reuters. 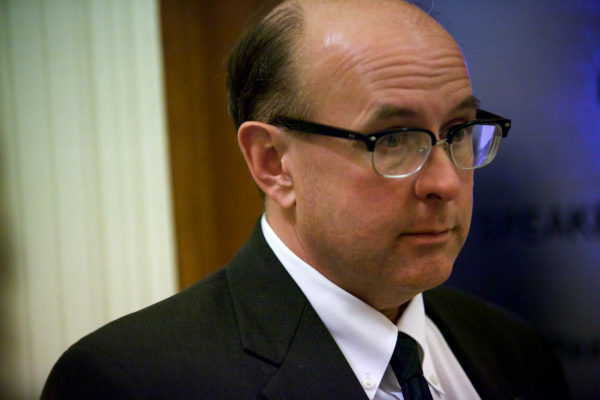 Dunlap, a Democrat who has been Maine’s secretary of state since 2013 and previously served in that role from 2005 to 2011, said Thursday he agrees that fraudulent voting, which he described as a person impersonating another voter, is rare. Dunlap, who is a past president of the National Association of Secretaries of State, said he’s been told that secretaries of state in New Hampshire, Indiana and Kansas have also been asked to serve on the commission, which is due to be announced sometime today. The bipartisan commission being established Thursday would not be limited to investigating Trump’s election fraud claims but would look at issues that had been raised over many years. It also would be forward-looking, a White House official told Reuters. “The commission will review policies and practices that enhance or undermine the American people’s confidence in the integrity of federal elections — including improper registrations, improper voting, fraudulent registrations, fraudulent vote and voting suppression,” the official said, speaking on condition of anonymity. “If the commission finds what I suspect they’re going to find, I suspect it will go away with a whimper,” Dunlap said. In 2012, then-Secretary of State Charlie Summers, a Republican, launched a commission to study voter fraud in Maine and recommend whether Maine should implement a law to require voters to show an identification card at the polls. In 2013, the commission reported no evidence of voter fraud and recommended against stricter voter ID laws. Information provided by Reuters is included in this report.